Industry innovators of renowned companies from diversified sectors like BFSI, Financial Consulting, Manufacturing & Engineering, Telecom, Manpower Consulting, FMCG, IT, Media/Entertainment, Consulting & Research, Consumer Durable, E-Commerce, DOT COM, Travel & Tourism, Infrastructure, Logistics and Pharmaceutical around Delhi/NCR attended the smashing evening with Rendezvous-2015 hosted by the Career Management Center of Fortune Institute of International Business at ESSEX Farms, New Delhi on September 11, 2015. We believe at FIIB that “Today’s businesses do not operate in silos; then why should business education?” With this initial thought the Rendezvous-2015 eve was planned to provide a discussion platform between the industry experts, learned academicians and enthusiastic college students with the objective of understanding the needs and expectations of industry to help management institutions produce industry-ready managers. The valuable responses and factual feedback from the industry are key takeaways for the college to research and plan more value-added programs for our future managers. The eve saw remarkable gathering at the college of over 63 representatives of renowned companies like F1F9, Allahabad Bank, NHRDN, E&Y, Om Logistics, Bajaj Capital, Shriram Group, KNR, Ambuja Cement, WNS, Muthoot Group, Kent RO, Essar Group, Karvy Wealth, Edelweiss Broking, Syndicate Bank, Sapient, 360 ECS Ltd., Times Group, TCG Hamilton, Justdial, Zaggle, Country Club, Angelique International Ltd., Carsonroads.co, Work Advantage Pvt Ltd., Oracle, Safe Expree, Orient Craft, Novi Logic, ColdEx Logistics, Expeditors, Hankyu Hanshin Express, MGH Group, Teamlease, KNR Consultants, Onicra, Value Research, Karvy Private Wealth, HT Media, Fiable Talent Solutions, Praxis Quest Solutions, Imbue Marketing PR, DCM Shriram, Investeurs, BRICKS, Fererro Roche, People Bridge, Trustline Securities Ltd. and Panalpina among many other organizations joined the meet and shared their experiences and expectations as potential recruiters and industry mentors for FIIB-ians. The event started with a brief about the innovative practices followed at the college by the Area Chairperson-Marketing & CMC Head, Prof. Jones Mathew from FIIB. He elaborated on the ‘Effective Practices’ at the college like Mentoring, Customized Development Programmes, Internal Quality Audit designed to add value to the ‘Most Valuable Assets’- students. 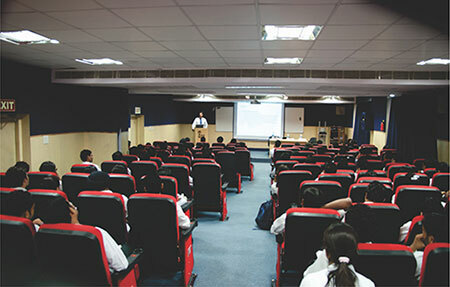 He felicitously stated, “Everybody at this college consciously and continuously strives to instil and imprint these skills in our most valuable asset: our students.” Addressing industry participants, he described the symbiotic linkage between educational institutions and business organizations by stating, “Your growth is our growth”. 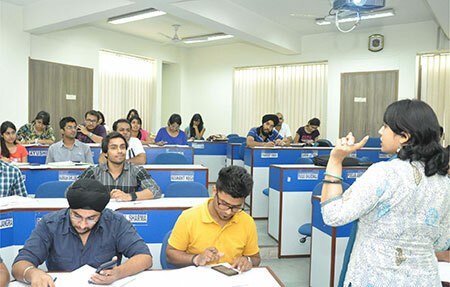 The aim of the meet reflected well with acclaimed professionals and business leaders submerging their thoughts on various practical aspects of the corporate expectations from the MBA graduates. 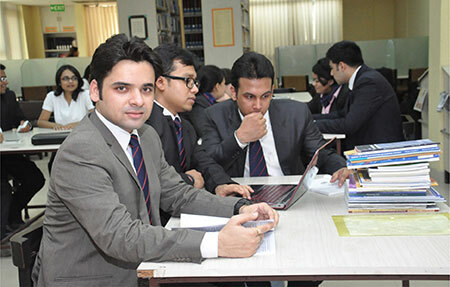 The major reasons for the significant gap of only 25% of the MBA graduates being employable even after completing a post graduate professional course was also discussed to envision more effective ways of preparing them for competitive careers. The experts also discussed the very important role of academic performance in assessing a candidate’s suitability for a particular profile. In addition a smart and go-getter attitude and sincerity in academic endeavors were also stressed upon by the industry professionals. Their common refrain was that, “It’s the academic performance that gets a candidate to his job, but in the long run it’s the soft skills and behavior at workplace which helps him to continue and grow with in his job”. The beautiful colors of the evening, sufi songs by Alisha Arora and magic play by Mr. Anjaan enthralled the college audience. 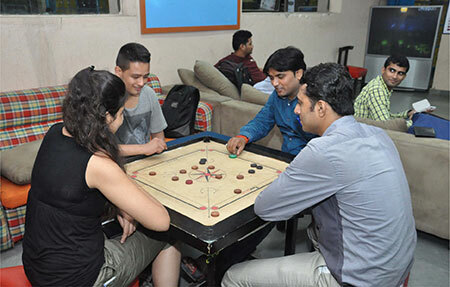 The anchor of the evening- Ms. Sakshi – kept the attendees hooked through various participative and interactive game sessions. 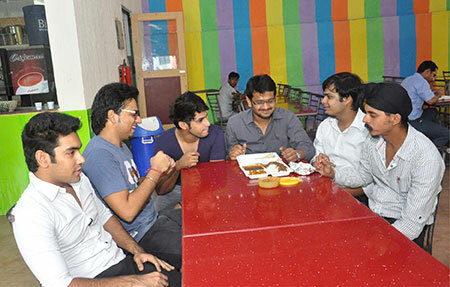 The event saw an enthusiastic response from the industry. Mr. Deepak, Senior Vice President of Trustline Securities said, “Rendezvous 2015 is a great platform to meet FIIB students, faculty, placement officials, other industry people and make connections. It was a wonderful initiative taken by FIIB. 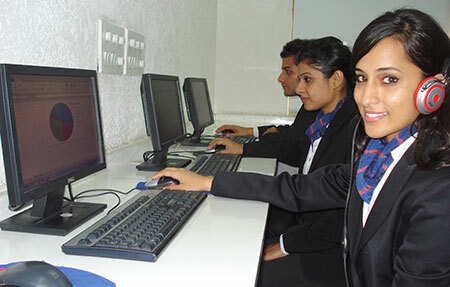 I am impressed by the quality of students of FIIB and will definitely consider FIIB for hiring students”. The event was worth pausing for, enjoying and interacting with the industry experts who possess real life, real time knowledge and experience. 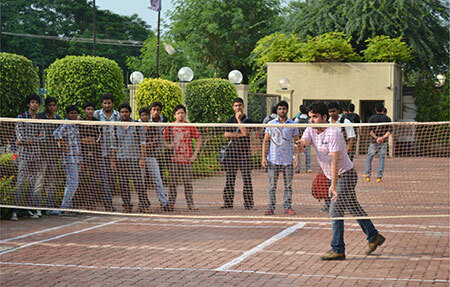 Overall, Rendezvous 2015 was a marked departure from the regular events in the history of the college. 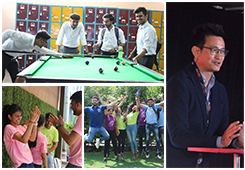 Fortune Institute of International Business (FIIB) inspires and engenders novel practices that build a Happy Study and Work Place for its Students, Faculty and Staff. FIIB is committed to delivering excellence and preparing its students to become agents of change in society by espousal of initiatives that lead to holistic development of the college students. In management education since 1995, FIIB as an AICTE approved institution has created a special niche for itself with 1500+ successful alumni in positions of importance in various organizations across the globe. FIIB’s mission is to ‘To advance the practice of management and produce leader-managers of business and social relevance’. 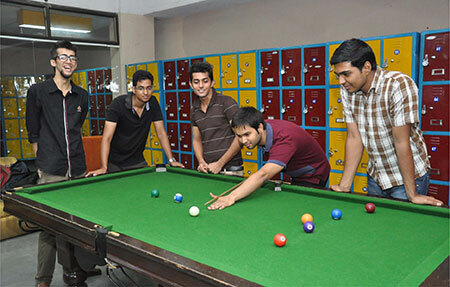 This mission permeates all activities at the college. The Career Management Centre (CMC) Team at FIIB comprises of Prof Jones Mathew, Faculty Chairperson, CMC, (9811372532, jones.mathew@fiib.edu.in); Ms. Deepti Pillai, Head-CMC, (9810435353; deepti.pillai@fiib.edu.in); Ms. Geetanjali Thakur, Manager-Recruitment, (9999510327; geetanjali.thakur@fiib.edu.in) and Ms. Monika Tiwari, Asst. Manager-Recruitment, 8800381160; monika.tiwari@fiib.edu.in).